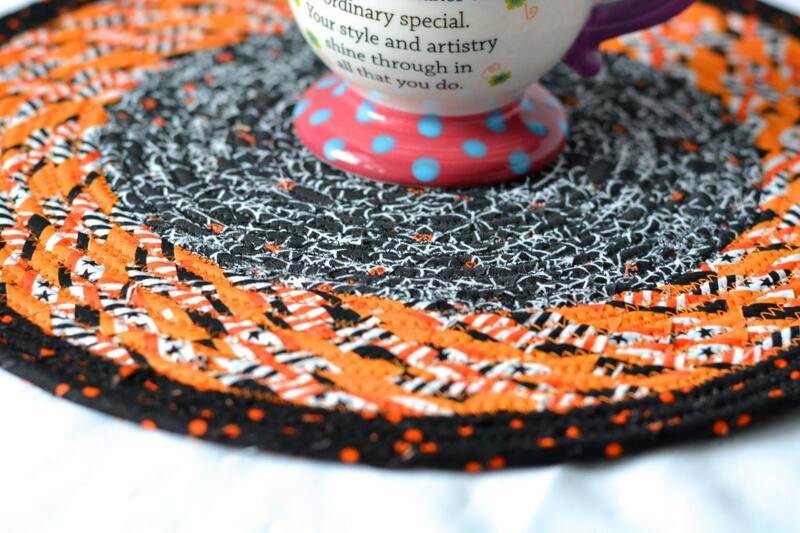 Fun Halloween Black and Orange Trivet! 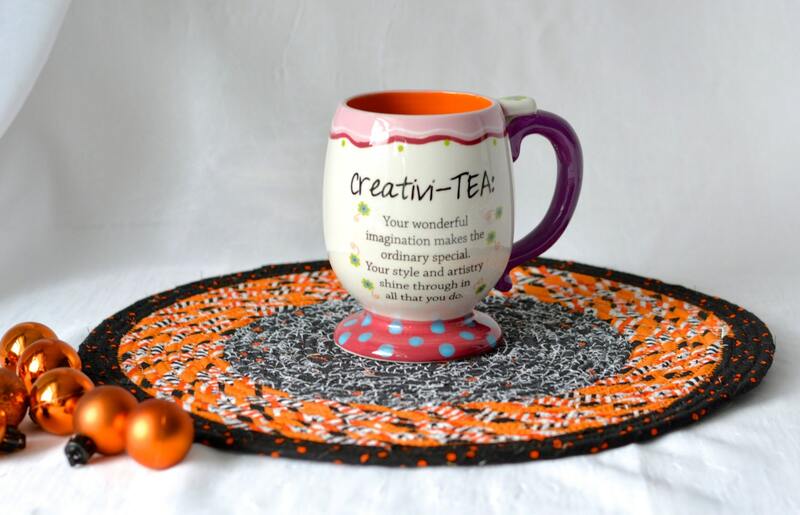 Place Mat! Hot Pad! 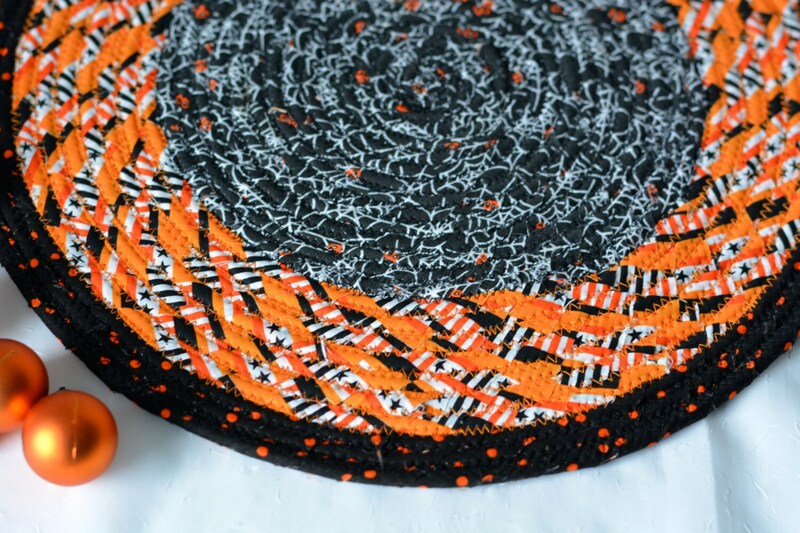 I hand wrapped these wonderful black and orange fabrics around cotton line, which I then hand coiled and machine quilted to make it sturdy. I used the raw edge technique with a little fray to add a shabby chic texture. 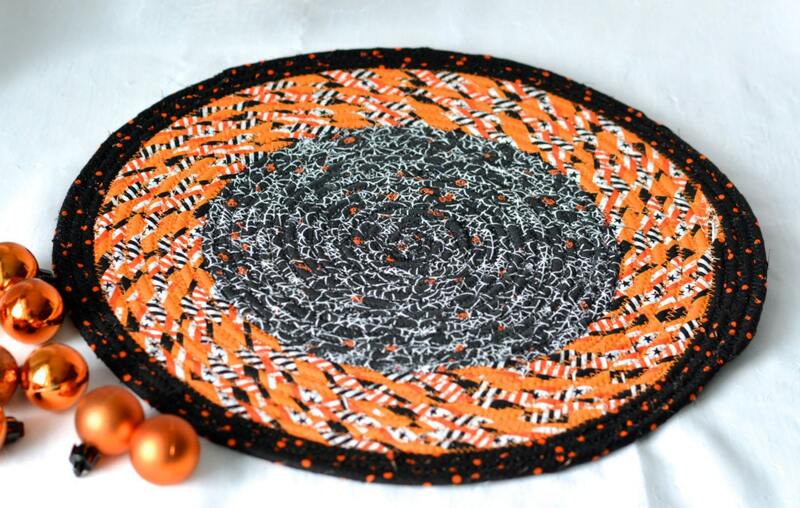 All are high quality 100% cotton fabrics and all show on both sides of this lovely trivet too! Wexford Treasures is just that...a treasure. This was my second purchase from the shop...not only are her products gorgeous, creative, and beautifully crafted, they are shipped for FREE. 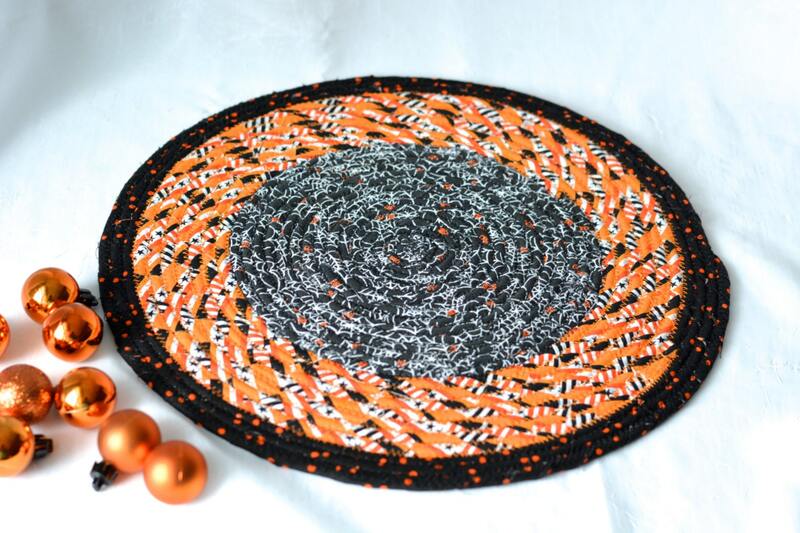 Thank you for another gorgeous table mat, and addition to my HALLOWEEN OBSESSION.